Realizzato in legno traforato. Dipinto floreale creato a mano e laccato per una lunga durata. Per qualunque richiesta non esitate a contattarmi Ricorda di aggiungermi al tuoelenco dei preferiti. accompagnato da scontrino fiscale o fattura su richiesta. Specifications:Description:Made of Polyester and Hard Plastic.Using for dance. .
Il diritto di recesso da parte del consumatore non si applica in base all'art. 5 comma 3 lettera D.lgs 185 del 22/05/99 in quanto si tratta di vendita di beni personalizzati. PER QUALSIASI URGENZA NON ESITATE A CONTATTARCI. Specification: Description: Features: Foldable, Flower Prints, Beige Bamboo Ribs. Specially designed for lady. It is chinese traditional hand fan with bamboo handle. Also can be used for decoration,daily time tool or just use it to cool yourself! It also could be a gift to dancer lover. Due to the light and screen setting difference, the items color may be slightly different from the pictures. 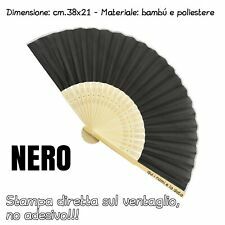 Specification: Description: This Hand Fan is constructed with plastic ribs and nylon, lightweight for convenient carrying in your handbag. Specification: Description: Chinese flora oriental folding hand fan, great for summer outing. A nice gife for a friend or yourself. Plastic Fan Ribs. Description: Flower printed, bamboo handle, 23 Ribs. This bamboo folding fan can be folded and unfold freely. Chinese style design will add more charming for this bamboo folding fan. It is a great tool for summer outing with portable design. Specifications: Description: This folding fan is constructed with wood ribs and fabric, lightweight for convenient carrying in your handbag. Fashion and beautiful design with the flower pattern . Nice gift for or lady use in the summer day or as a dancing hand fan.And it can be used just as decoration or a cool fan. Description: This folding fan is designed with Riverside Scene at Qingming Festival Printed,bamboo handle,15 Ribs, it can also be an ornament for your living room,study, drawing room, etc. This bamboo folding fan can be folded and unfold freely. A wonderful gift for people who is interest in Chinese culture. Viaggiare tessuto non tessuto fiore pieghevole raffreddamento ventola mano 1,5"
Description: Convenient to open or close with foldable design. A folding hand fan is easy to carry, use for dancing or daily cooling. Nice gift for your partner, girlfriends, mom, and friends in the summer day. Ideal tool for yourself to make a cool environment. Notes: 1. Due to the light and screen setting difference, the items color may be slightly different from the pictures. 2. Please allow 1-2cm difference due to different manual measurement. Description: Features bamboo ribs, fabric cloth, wooden fan holder, flower pattern, folding design, etc. Comes with a wood display holder, can be used either as a cooling tool or a decorative item. Due to product clipping is different, pattern may be different, we will random shipment. Description: Features: Flower Pattern, Wavy Bamboo Frame, Fabric Section. Great for dancing and party deoration, also can be used just as a summer cooling hand fan. Description: Blooming flowers pattern, wood handgrip, folding hand fan, great for summer using. A nice gift for a friend or yourself. Description: Nice accessory for your folding fan. Fan sleeve from china silk blend printed beautiful flower pattern. Put on and take off easily. Specification: Description: It is convenient to use and carry in your handbag. 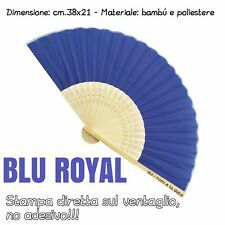 Nice gift for or lady use in the summer day or as a dancing hand fan. . Description: A good choice to protect your fan. Fan sleeve from china printed beautiful flower pattern. Put on and take off easily. Description: Spanish flora style folding hand fan, great for summer outing. Convenient to open or close with foldable design and u ring. A nice gife for a friend or yourself. Description: Fan sleeve from china fabric blend printed beautiful flower pattern. Put on and take off easily. A good choice to protect your fan. It has red tassel and copper pendant. Specification: Description: Feature: Glitter Powder Flower Pattern, Hollow Out Plastic Frame, Fabric Section. Great for dancing and party deoration, also can be used just as a summer cooling hand fan. Metal U ring on the bottom is convenient for you to hang it. .